Colin's life has finally regained some semblance of normalcy after the death of his girlfriend, Jesse. He no longer hunts supernatural creatures. He has a job working in his uncle's salvage yard that he enjoys. He's even planning to start college in the fall. 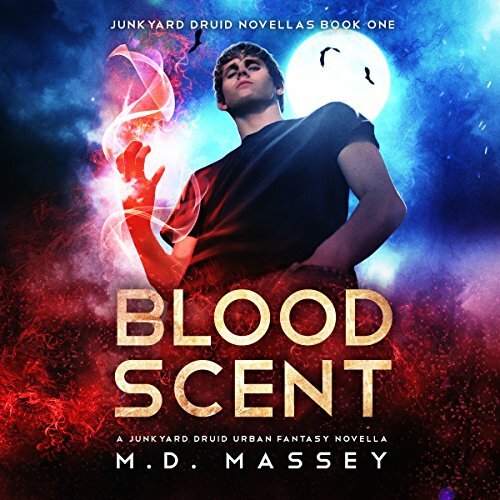 And, he lives inside six acres of scrap iron, steel, and magical wards that keep the fae and other denizens of Austin's paranormal underworld far, far away from him. So when he runs across a rogue vampire on the hunt, his first instinct is to report it to the local coven leader and then mind his own business. But Colin just can't stand aside and watch as innocent people are slaughtered. Which is why he'll take up his sword one last time for one final job. But with witches, doppelgangers, and demigods involved, this gig is turning out to be a lot more complicated and dangerous than he expected. If you have read Kevin Hearne or Jim Butcher you will disappointed in the storyline. Although these are bad while you're waiting for one of theirs to come out. So boring! After finishing the Harry Dresden series I walked into this clumsy attempt. The narrator was boring but it was possibly due to the material given. Find something else to read. If there was a negative star, this one would have it. I was hoping that it would have taken place BEFORE Jesse's death, like Druid Blood did, but still a good addition to the series.